YOUR CHANCE TO OWN A BEACHSIDE HOME IN MEXICO BEACH WITH AMAZING GULF VIEWS! All electrical replaced, mold remediation done, and ready for you to make it your own! Just steps away from miles of sugary white sand and pristine blue water. First level has 2-car garage, bedroom and bath or potential mother-in-law suite with plumbing already in place to add a kitchenette. 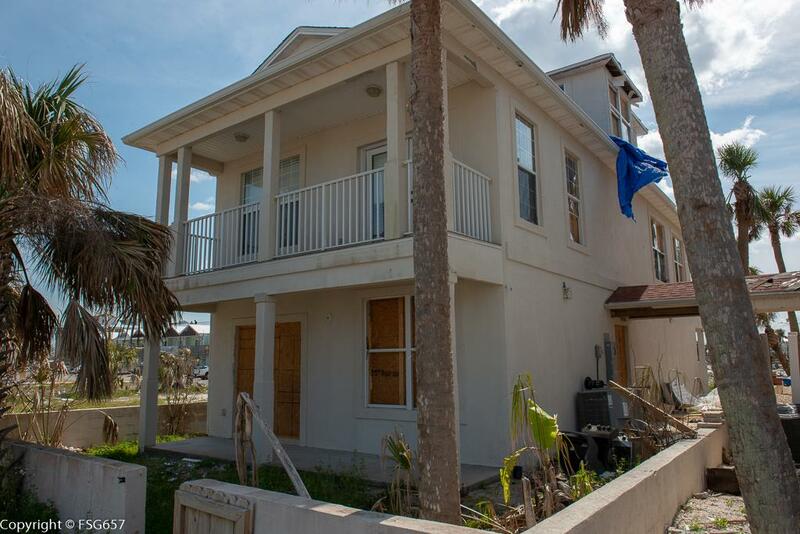 Second floor has open living/dining/kitchen area, 2 gulf-view balconies, bedroom and bath. Master bedroom and bath located on the third floor offering plenty of privacy. Back yard your has room for a pool! Come enjoy the beach life again and see what the future brings.